Bryan joined GO Transit after doing surveillance in the casino industry for seven years. 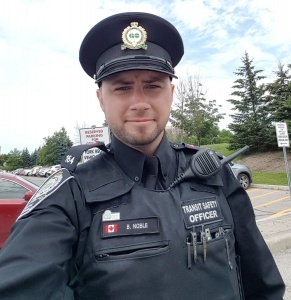 In his position with the GO Transit Safety and Security Division, Bryan has worked in the Rail Section, Patrol Section and was seconded to the Corporate Security Department for a year to assist in digital/cctv investigations, design of physical and electronic security systems and plain clothes security detail. 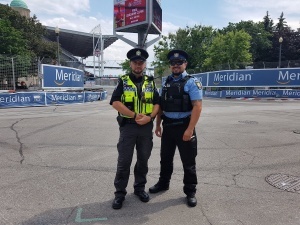 He is currently spending his fourth summer combining his love of cycling and passion for his job, serving in the Bike Patrol Unit. 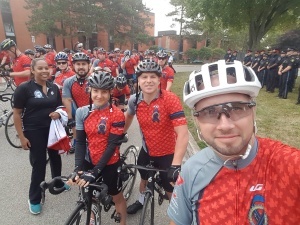 While he was always a casual cyclist, when fellow GO Transit Special Constable Brenton Hoffman introduced him to the Ride to Remember he began to take his cycling more seriously and was bitten by the cycling bug, taking every opportunity to ride. His enthusiasm for the sport has spread to others and this year, GO Transit has seven riders representing their organization on the Ride to Remember. Bryan is an active member of GO Transit’s social media and Operation Life Saver teams, using both platforms to spread safety messages to hundreds of followers and students. He also is amazed at the opportunities to engage with fellow members of the policing community through cycling. 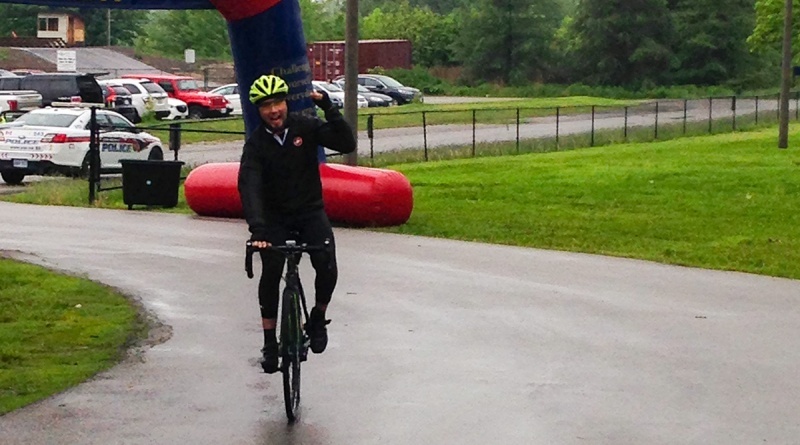 Both Bryan and Brenton participated in this year’s Cops for Cancer – Pedal for Hope. They were part of a team comprised of members from Durham Regional Police Service, Peterborough Police Service, the Royal Canadian Mounted Police and the Ontario Provincial Police, visiting schools throughout Durham Region and Peterborough County, raising money for the Cops for Cancer campaign and for pediatric cancer research.